“I’m in no way American, other than on my passport”, says the percussionist and producer Sarathy Korwar about his diverse background. Korwar was born in Washington and grew up between Ahmedabad, Chennai and Pune in India. He then moved again to study music at SOAS in London, where he is currently based. Echoing his international upbringing, his music hasn't followed a straight path. At the age of eight, he started on the tabla, an Indian classical percussion instrument; he began playing the western drum kit in his teens. In London, he immersed himself in jazz, playing with contemporaries such as saxophonist Shabaka Hutchings and avant-garde legends Karl Berger and Ingrid Sertso. While a dab hand at jazz percussion, Korwar’s training on the tabla has provided him with a unique approach. In Pune, Korwar was trained by Rajeev Devasthali, who was an “important mentor”. In London, he was taught by the highly accomplished Sanju Sahai from the Benares “gharana", meaning family. But while he appreciates the importance of the Indian classical tradition, Korwar wants to discover his own path. 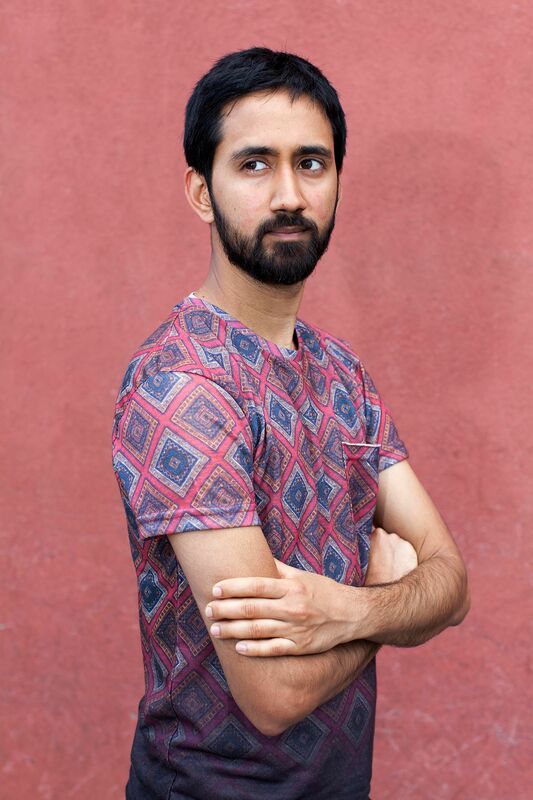 In 2015, after winning the Steve Reid Foundation, a charitable trust established by Gilles Peterson to support emerging talent, Korwar made plans to create his debut album. The result was Day to Day, a combination of jazz, electronics and traditional Sidi folk music from India, which mixes east African, Sufi and Indian influences. At its heart sits Korwar’s love for collaboration, something that remains paramount throughout his work. Why did you choose to work with the Sidi community? In early 2014, I met this ethnomusicologist called Amy Catlin-Jairazbhoy. She was staying in my parents place in Pune when I was visiting and had done a lot of work with the Sidi community in India. I studied ethnomusicology at SOAS so she thought I might be interested. She told me about their history and opened my ears. I wanted to make an album of my own and was thinking about using folk music as the foundation. Folk music is unique because it’s steeped in tradition and religion. There is an idea of surrender, an idea of full commitment and devotion. The Sidis originally come from south-east Africa. They migrated centuries ago with colonies, like the British, Portuguese and Dutch. Even before that, they came over with merchants. They settled in India and brought their instruments and tradition. I wanted to make a contemporary album with the Sidis, in the vein of Alice Coltrane or Don Cherry. Could you speak about the individual musicians you worked with? The Sidi musicians are a troupe of 10 to 12 singers, dancers and drummers who perform together. Ikbal is their lead singer. I recorded most of the troupe in their village Ratanpur in Gujarat, on the west coast of India. I also recorded Salim who lives in the neighbouring town Bharuch. He plays the malunga, which is a bow instrument. Quite a few songs are based on his samples. He’s got a powerful voice and plays beautifully. Then there were the people that came with me from London: guitarist Giuliano Modarelli, pianist Al MacSween and bassist Domenico Angarano. We recorded the bulk of the album in Pune. I got Shabaka Hutchins to come and play on a couple of tracks; a girl called Cara Stacey, who plays southern African bows; a brilliant vocalist Jaideep from Pune; and Ruth Goller who plays bass with Melt Yourself Down. You've said that improvisation is important to you. Was there room for you to improvise with the Sidis? Not really. Their music is quite set in its ways. It is passed down ancestrally within musical families. They've grown up playing this music that they've learnt. But they've not necessarily collaborated with people from outside. I wanted to record them and then try and make that interaction on record rather than in person. The improvisational aspect really came from us as contemporary musicians. Is it a jazz album? Conceptually. It was about giving people the space to react to the samples. At the basis, it is an improvised album based around the principles of jazz. So you wanted to use this to frame the Sidi music? That's how it started. I came up with some rough structures for each song. But I never wrote a single piece of musical notation for anybody. We all just discussed it and came up with it together. It didn't make any sense for me to write music for people who I trusted. I thought they would be able to react far better themselves than though any way I prescribed. Could you speak about the Sidis and spirituality. They are deeply religious people. They've grown up as Muslims, and have their saint Bava Gor and a Sufi shrine, the dargah. All their songs are in praise of him. Everything they do is for him. They spoke about their first trip to Zanzibar, east Africa, which was a big thing for them because it is where they originated. They said people looked at them and were fascinated because they were Indians but didn't look like it. They even asked for them to stay. But they said our home is where the dargah is. Where Bava Gor is. They don't move out of Ratanpur. Their identity is shaped by their connection to Bava Gor. While it's fascinating for us to think of their history and where they come from, they seem very much at ease and rooted to where they live now. The Sidis don't suffer from any identity complex. Is their music mainly Indian or African? They sometimes sing in Swahili but don’t know the meaning of the words, or they learn it over time. It's an aural tradition that's passed down from ancestors. They speak Gujurati. I do too. I come from somewhere that is close to where they live but from a totally different background. They are very much Indian. They've all grown up in India for generations. Their instrumentation is very interesting because there's a connection to the east coast of Africa and southern Africa. The musical bow is something you can find in these parts of Africa a lot. You can also find it in Brazil with the berimbau. Wherever there are areas with a history in the movement of Africans – in the slave trade or before – you can see the influence of the bow. Even their drumming ensembles have different parts that are quite polyrhythmic, which is not something that you find in Indian ensembles so much. It goes back to this idea of harmony. Harmony in Indian folk music doesn't exist. It's all based on modes and stacking melodies. It's the same with their drumming; this idea of singing and playing in unison is usually what happens. They have different parts. To me, it's a very African thing. It harks back to all those influences. But then they sing in a mixture of Urdu, Hindi, Gujurati, Swahili. It's quite bizarre really but it's definitely them. It's what it is. Are they interested in African culture? In India, they are a very marginalised community. This is worth pointing out. India can be a very racist country. Being dark skinned is not the best. Traditionally, because they come from polar sections of society, there are some Sidis who are doing really well for themselves, some who made it to royalty, but overall they are marginalised. In Africa, I think they feel more validated but they definitely consider India to be home. Did you connect with the Sidis as a musician? Ultimately, they are freelance musicians, so are not very different from me. They make a living through touring, so do I. At the end of the day, we all need to make money and play our music. Forget about the spirituality, we both got that it was tough out there for any musician. That's also what inspired the idea of the album Day to Day. It celebrates everyday rituals or routines that hold us together. I like to value the mundane, and they do the same.